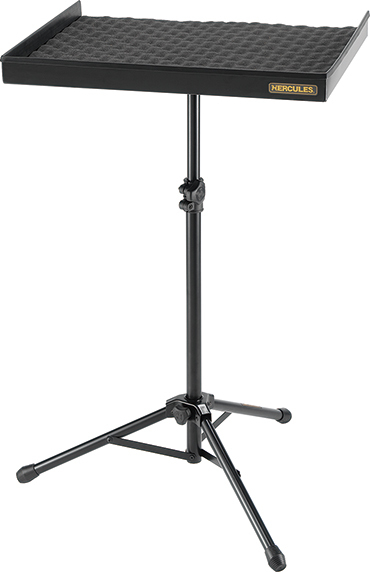 The HERCULES Percussion Table DS800B is a versatile stand with a removable wave foam matt and rubber edges; this stand safely holds a variety of instruments. Table height is adjustable and ranges from 560 mm – 920 mm (22” – 36.2”). The table is covered by high-density wave foam and a rubber edge. The wave foam is removable and replaceable.